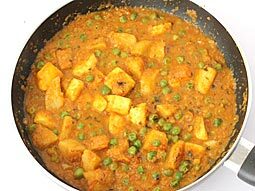 Have a delicious change to routine aloo matar by adding paneer (cottage cheese) to it. 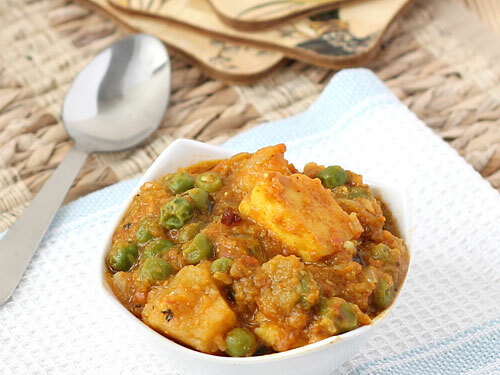 Learn how make this classic Indian curry with this easy aloo matar paneer recipe. 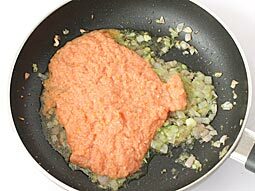 Grind tomatoes and cashew nuts in grinder and make a tomato paste. Heat oil in a kadai or a pan. 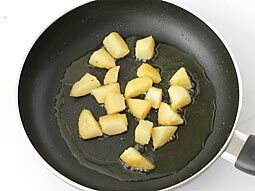 Add and shallow-fry potato pieces on medium heat for 2-3 minutes. Drain and transfer to a plate. 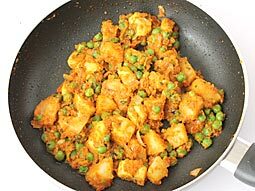 Shallow fry paneer cubes in same kadai until they become golden brown, drain and transfer to a plate. 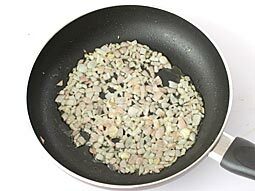 Now sauté chopped onion in same kadai until it becomes translucent. 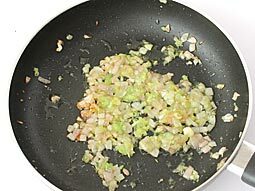 Add garlic-ginger-chilli paste and sauté until oil starts to separate from it. 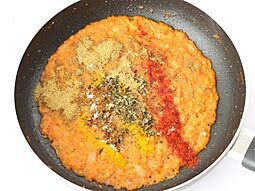 Cook mixture for 3-4 minutes; add salt, dry fenugreek leaves (crushed using hand), garam masala powder, red chilli powder, coriander powder and cumin powder and mix well. 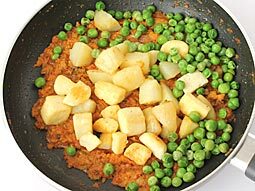 Add shallow fried potato, paneer and green peas. Stir and cook for approx 1 minute. Add 1/2 cup water and bring mixture to boil over medium flame. When boils, reduce flame to low and cook until gravy becomes thick or for 3 to 4 minutes. 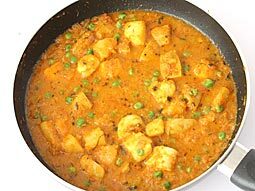 Turn off the heat and let curry sit for 15 minutes before serving. 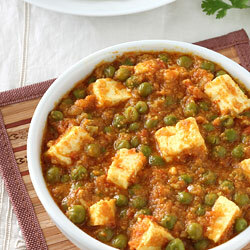 Transfer prepared aloo matar paneer to a serving bowl and serve. 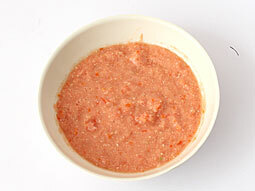 Adjust the quantity of red chilli powder to get spiciness according to your taste. You can add more red chilli to make it spicy. Add 1 teaspoon sugar to balance out tangy taste of tomatoes. 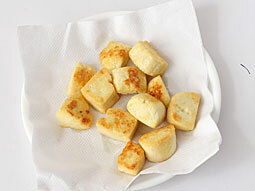 Serving Ideas: It can be served with soft paneer butter kulcha, tandoori roti or any type of Indian bread. Easy steps and easy to learn and prepare. Response: Hi Priya, thanks for the feedback. You can make it less spicy by reducing the amount of garlic ginger chilli paste and red chilli powder in given recipe method.